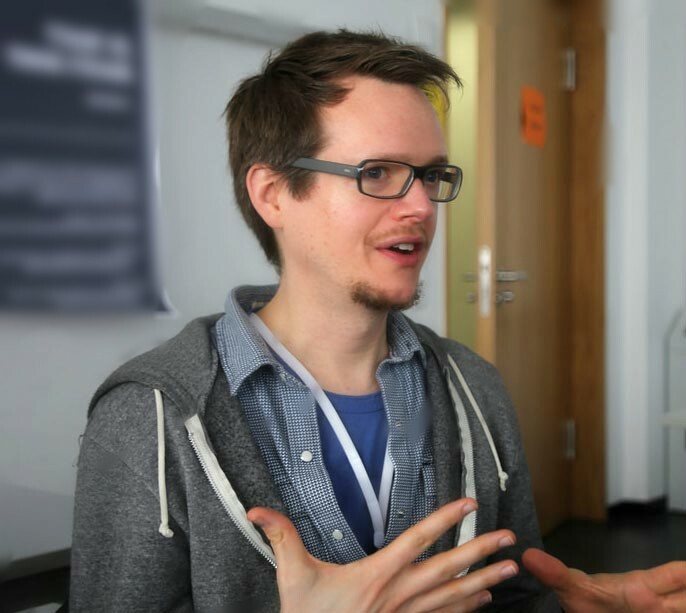 Today we have a guest post, courtesy of ESL teacher Ethan Miller. 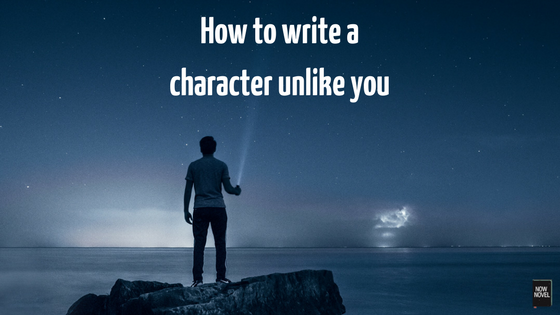 Character creation is a key element of writing a novel. 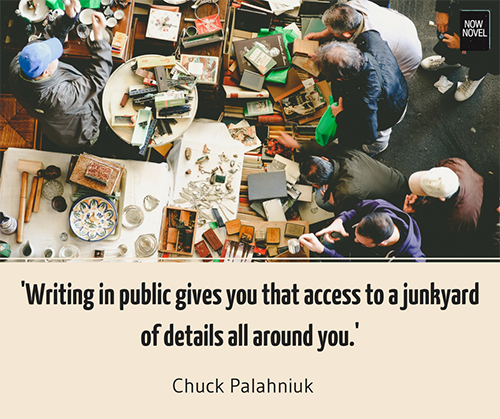 Authors, knowingly or unknowingly, often create characters that borrow heavily from their own selves and life experiences. It’s fun to see yourself as the protagonist of your story and base your characters in a familiar setting. Yet sometimes you need to diversify your characters to explore your story from different points of view. Here arises the problem: How do you write a character that has no semblance with you or anyone you know? Most writers find it easy to write characters they can relate to compared to those who are radically different. The first step in learning how to write a character unlike you is to pay close attention to your surroundings. If your character is a fruit vendor at the subway station, hang around at the subway station and observe how fruit vendors talk. How do real-world counterparts to your character stand, move, and interact with people? Observe what they wear and check out their hairstyles. If your character is an unusual dresser, make sure to keep your eyes and ears wide open to observe quirky outfits in the crowd. The objective here is to create a mental picture. A picture of how your character should look, feel, and sound to your readers. It’s easier to avoid stereotypes when you’ve observed many subjects similar to your character before you start etching them out on paper. ‘What if my character is a burglar? you may ask. Unless you get access to interview a burglar in prison or know a former thief, sketching out your character through observing is going to be tricky in this scenario. This is where the real grind of creating a character from scratch starts. Learning how to write a character unlike you requires asking questions about the character that range from silly to immensely personal. Your character will become as interesting as the answers to these questions. What is this person’s greatest flaw? What was my character’s most embarrassing experience? What would they choose for their final meal? While it is important to ask tough questions to get an idea of how the character thinks or behaves, it is useful to answer simple, fun questions before you attack the serious ones. What is their favorite cuisine? What’s their favorite band or style of music? These questions won’t necessarily be relevant to your story. Yet answering such small questions helps you create a mental picture of the character that will, in turn, help you find answers to tough, character-defining questions later. One of the biggest challenges in learning how to write a character unlike you is keeping aside certain personal views and biases. When a question is asked, it is human to answer it from a personal perspective. But when you create a radically different character, it’s crucial to curb any urge to answer the character questionnaire strictly according to your own world view. Even when you are trying hard to answer the questions by putting yourself in the character’s shoes, your personal opinions can still influence your answers. For example: If your character is a violent fundamentalist, it might be difficult for you to give their answers to the character questionnaire if you’re a complete pacifist. One way to tackle this problem is by writing (not typing) with your non-dominant hand. If you are a right hander, then use your left hand to write answers to character questionnaires and vice-versa. You will be so engrossed in getting the letters right that you won’t overthink the questions and will come up with interesting answers that are devoid of personal biases. There are two ways to write a character who defies your belief system and your morals. One way is to write the character by gathering knowledge about him/her and creating a backstory that explains what made them the person they are. The other way is to empathize with the character by placing yourself in his/her shoes. I always choose the latter technique for writing characters as empathy goes a long way in humanizing them. When you empathize with your characters, you understand their story from their point of view and realize the circumstances that made them the people they are. Empathy was the tool used by Robert Louis Stevenson to humanize the evil Mr. Hyde to showcase that good and evil reside inside every person. If we revisit the example of writing the character of a violent fundamentalist, it is important that you see things from the character’s perspective and try understand why he holds the beliefs he does. When you empathize with your character, you are not trying to justify their actions and flaws but merely understand what led to them to become the flawed person that they are. In closing, I would like to say that it takes courage and patience to create characters that are completely opposite to your own beliefs. The characters that are radically different from you help you unlock the side of you that you had no idea about and help you see things in a new light. So step into a stranger’s shoes. It will go a long way in creating multidimensional, interesting characters. Ethan is a private ESL tutor by day and an aspiring novelist by night. When he is not teaching or writing his book, Ethan loves to blog and is a huge fan of educational technology. Follow him on Twitter, and his blog.